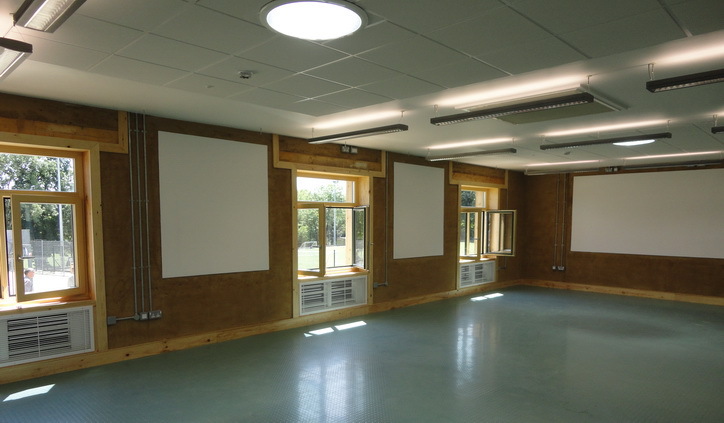 The first Passivhaus rammed earth classrooms for East Sussex County Council was at Plumpton College Ivylands site. With the completion of that project the principal of the college realised that if all his buildings on the site were that energy efficient he would have much more money to spend on teaching with the money saved on heating bills. More rammed earth images. The realisation led to East Sussex County Council adopting the same approach to three more classroom blocks in three different schools at Claverham, Ringmer and Oathall. The design team changed from the original Ivylands build so that Rammed Earth Consulting and Conker Conservation became consultants to the consultants. The main contractor Farnrise was also different, and after some changes in plan they had three site agents on three different sites. The earth was tested on all three sites, with varying results. It was agreed that the aggregate from one site, Oathall, could be taken to another site, Ringmer, to improve the mix. The last site Claverham used only what was on site. Building got under way in the coldest winter for quite a few years. But rammed earth when at optimum moisture content is less vulnerable to very low temperatures than cement or lime so work continued throughout. The same formwork and plant was used as on many other jobs, so the team were familiar with most of the process of formwork, material handling etc, just the placing, ramming and formwork removal needed particular attention. Initially the walls were built in the open, but after some particularly wet weather scaffold and a temporary roof was used. 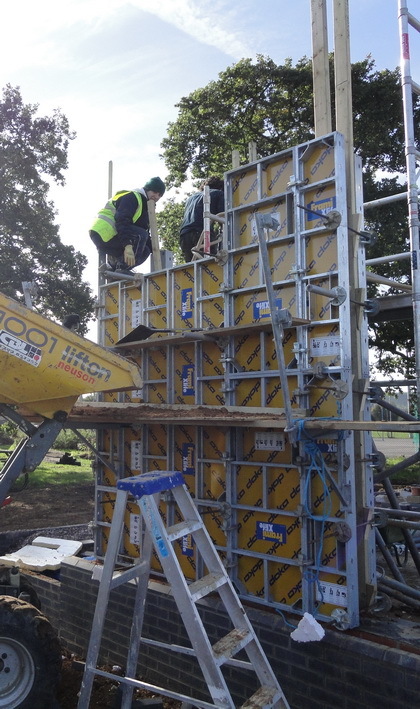 The walls were completed and roofs put on, and then the walls were clad externally with timber I beams to allow the 250mm of cellulose insulation which was the bulk of the Passivhaus design for the walls. Insulation was continuous to the door and window openings, the walls standing inside the thermal envelope and providing structure to the cladding and roof without forming cold bridges. All the classrooms had heating from air source heat pumps as well as heat recovery HVAC systems. They also had quite a bit of teaching technology in them, with the white screens and projectors fitted throughout.